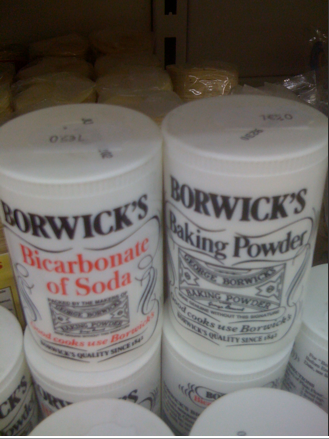 Serious bakers need serious containers of baking powder - not the puny pink packets you can find in most grocery stores here. Good news, baking buddies! Dori reports that these two items are available for only €1.50 from Bombay Bazar Bollywood. You can also get baking soda in a box at Casino and some Monoprix stores - but not for €1.50!